Our founder Eileen Lodge aged 94. 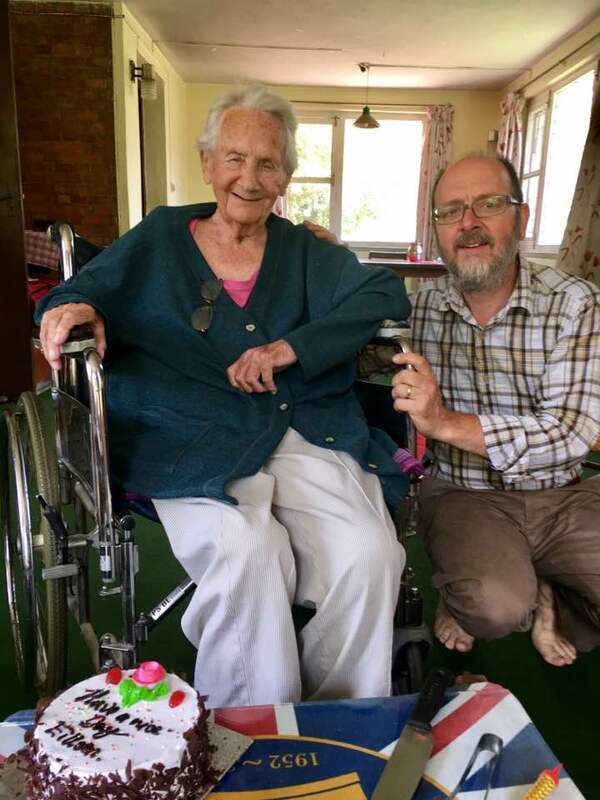 Our founder Eileen, aged 94 years, having tea and cake in her home in Kathmandu yesterday (18th June 2017), with Mike Winterburn, chairman of the board of directors of NLT Ireland. Article and photos by Sarah Winterburn. Late one evening in July, I found myself descending rapidly in an airplane over the Kathmandu valley. The city looked totally unlike any I had seen before. Walking out onto the heated street, the life of the place struck me. People everywhere. No surface seemed untouched. As I travelled south, rural farmland replaced crowded cityscape – rice paddies and dirt tracks. How did I end up here? After a lifetime of hearing stories about Nepal from my parents, who spent the first years of their married lives there, I had been given the opportunity to visit. 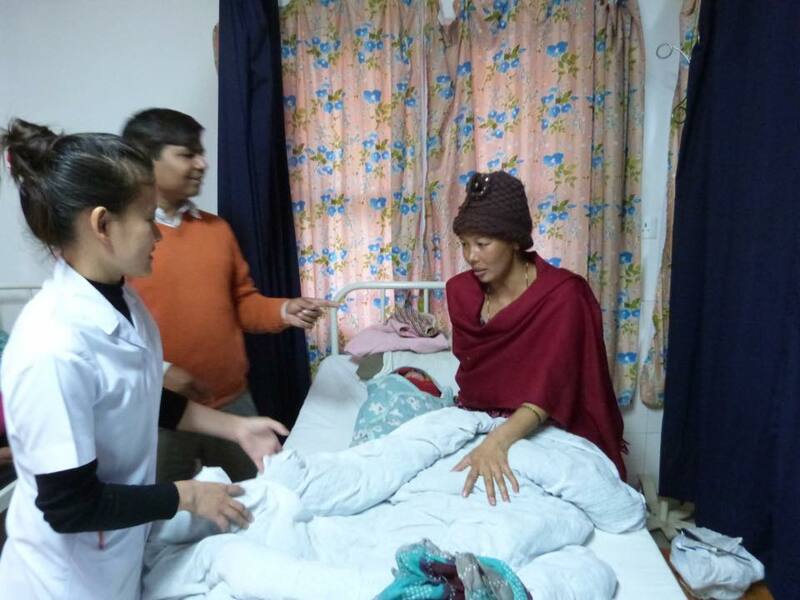 I would be staying at Lalgadh Hospital – the busiest leprosy hospital in the world – set up by Nepal Leprosy Trust (NLT), a Christian organisation inspired by Jesus’ compassion to serve the poor and sick. 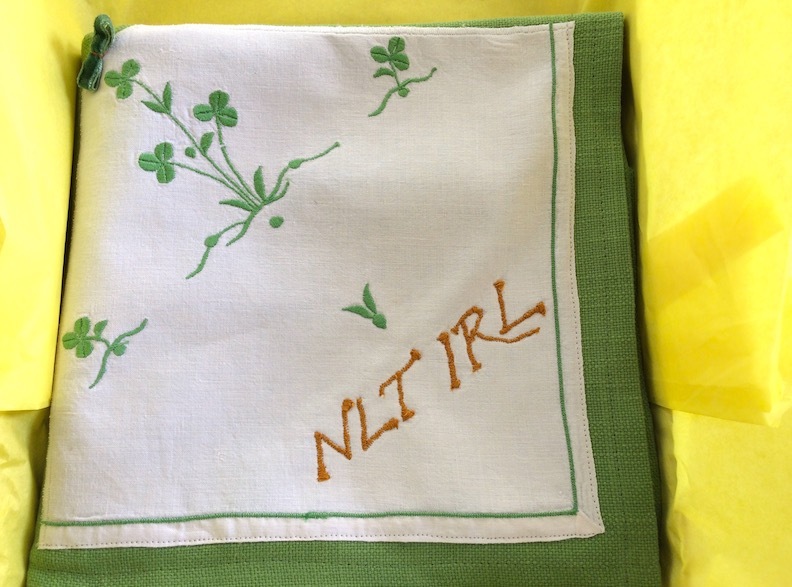 Their aim is to empower those affected by leprosy and other disadvantaged people. With the birth of two wonderful little girls in my extended family this week in Ireland I am reminded of the mother and baby ward in Lalgadh Leprosy Hospital in southern Nepal. It’s a boy, 3kg photo by Yvonne Simmonds. 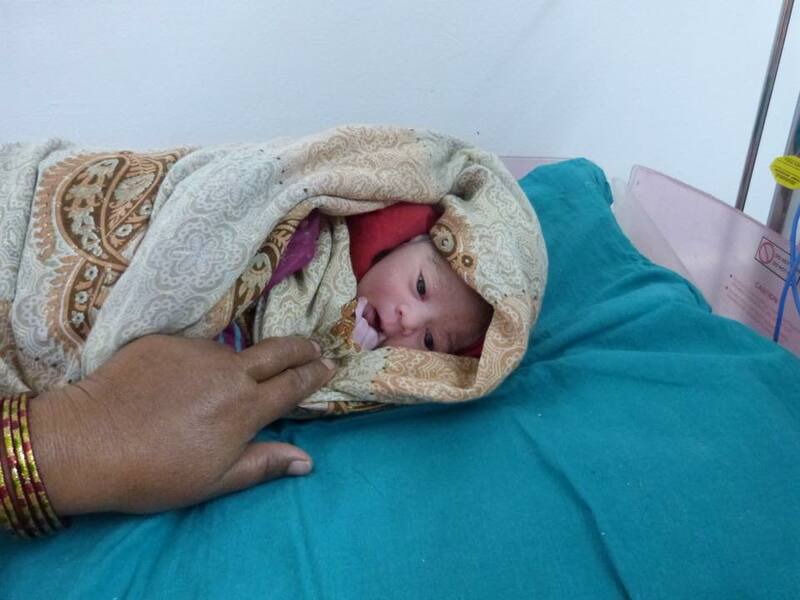 This last week in February there have been 3 births in Lalgadh, two girls and a boy. All going well the mothers will return home with their newborn baby about 5 or 6 hours after birth. The normal birth figures in the hospital are an average of two a month. 3. the hospital is situated in rural Nepal and travelling long distance, at short notice, usually on foot is not ideal during labour. This trend is slowly changing as a result of the Village Alive Program which includes training of Rural Health Champions (RHC). 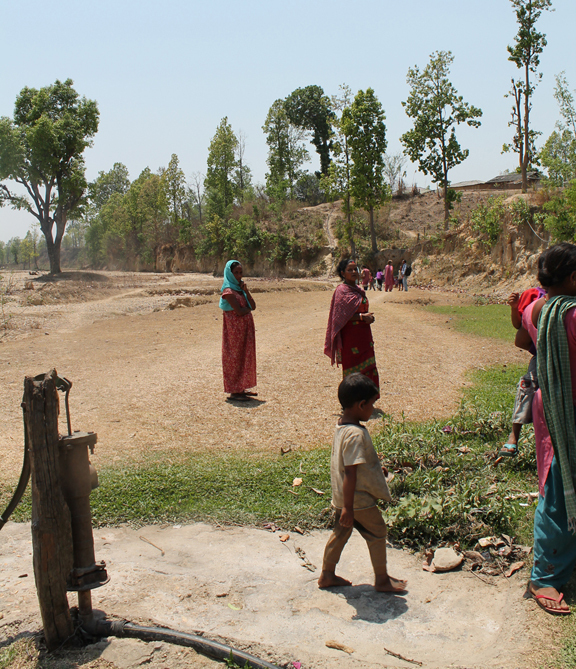 The RHC’s are women working on a voluntary basis and have been selected by their respective villages. These women take part in efforts to control diarrhea, vomiting, malnutrition, malaria, and tuberculosis and referral advice when required. Most of them were illiterate, but now function as health volunteers, measuring blood pressure and performing examinations, including examination of pregnant women. They are also able to recognise danger signs and advise to move pregnant women to hospital if necessary. In labour, photo Yvonne Simmonds. Mother and baby photo by Yvonne Simmonds. When I visited Lalgadh Leprosy Hospital for Easter 2014 I was blessed to meet some beautiful people. I know I have made friends for life as a result of my time spend there. One of the ladies I met was Sarita, she was part of the outreach team who travelled with us to the remote villages. On these trips she preformed many tasks, one of which was introducing us to the villagers, helping to translate and share their stories. I also spent time with her in the small jewellery making workshop which she manages. She provides training and support for people in a similar situation to her own. Sarita, seen here on the left, is a very warm, confident and outgoing person but this was not always the case. 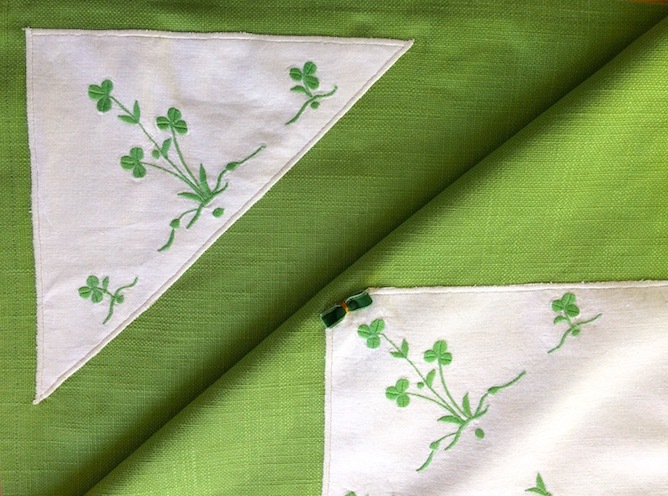 Stigma – A mark of disgrace associated with a particular circumstance, quality, or person. Leprosy is caused by bacteria, mycobacterium leprae, affecting the nerves in the skin, face, hands and feet. 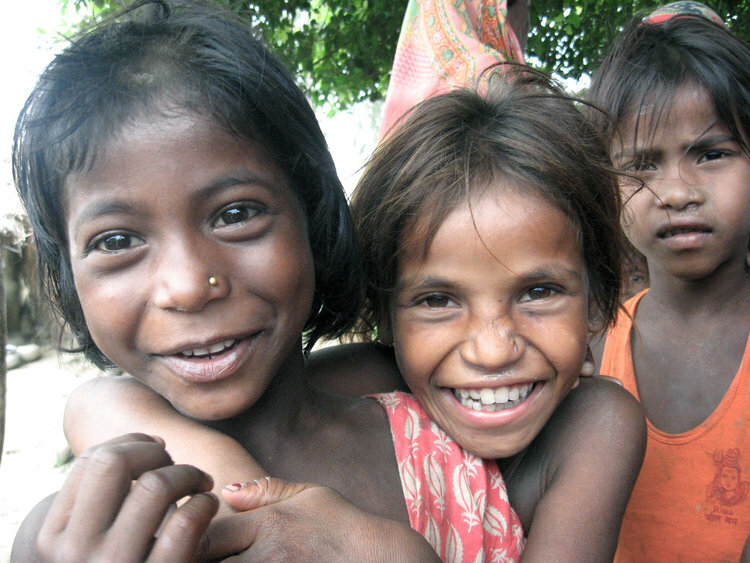 Leprosy can permanently damage the nerves so that they feel no pain, hot or cold, just like an anaesthetic. The patient feels no pain, injuries are not rested and may get infected badly. Stigma can begin between husband and wife, parents and children. 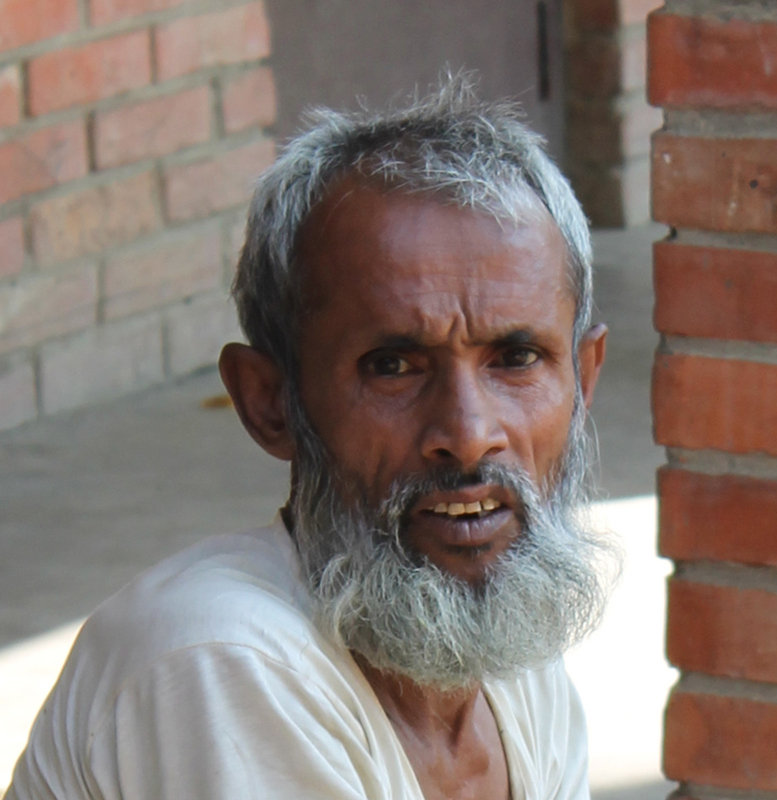 The wider community can affect the families of leprosy sufferers. Fear and misunderstanding in the community can lead to separation. Lalbusty Tulashi – at the top of the hill – this is the only water point and pump in the village. Economic loss can cause the family great hardship. The actual diagnosis can be the most painful part, for patient, family and community. 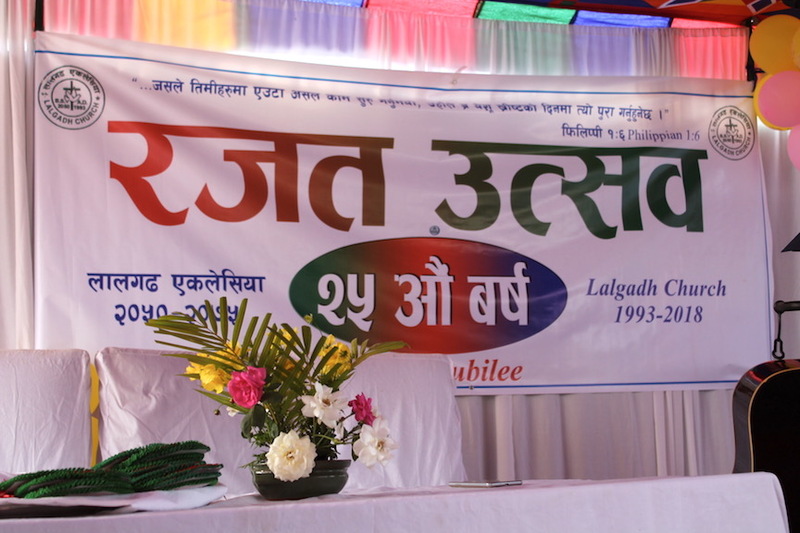 Ashok Shrestha, OPD Lalgadh Leprosy Services Centre. The secondary effect of having damaged nerves is infections, this is what most people see as leprosy, the leprosy bacteria is treated by antibiotics. Often patients may be malnourished and need to be admitted as in-patients. Stigma begins in the heart, and we overcome it by the way we live, by the example we show. Leprosy patients form self-help groups (SHG), to look out for each other. Men and women, young and old, Muslims, Christians and Hindus of different castes all sit together and share their struggles, offer advice, laugh and cry, touch and comfort each other, building self-esteem and confidence. Self-help groups receive support from LLSC with adult and health education. 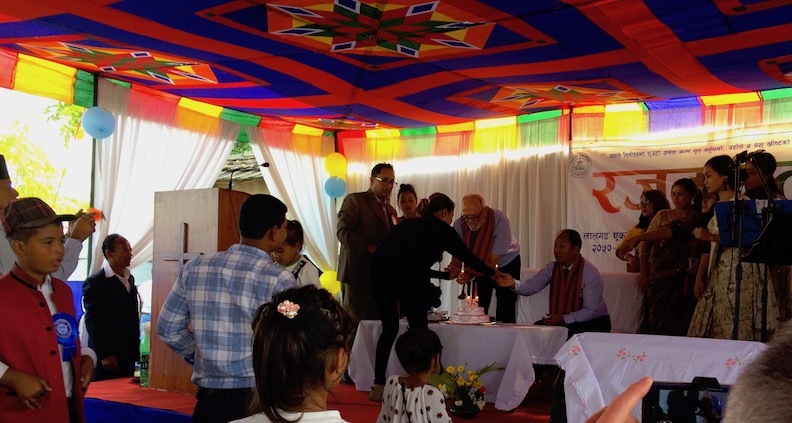 Self-help groups receive seed capital from LLSC and encourage leprosy patients to budget and save. The savings scheme can lend money to its members to start an enterprise to break the downward cycle of poverty. 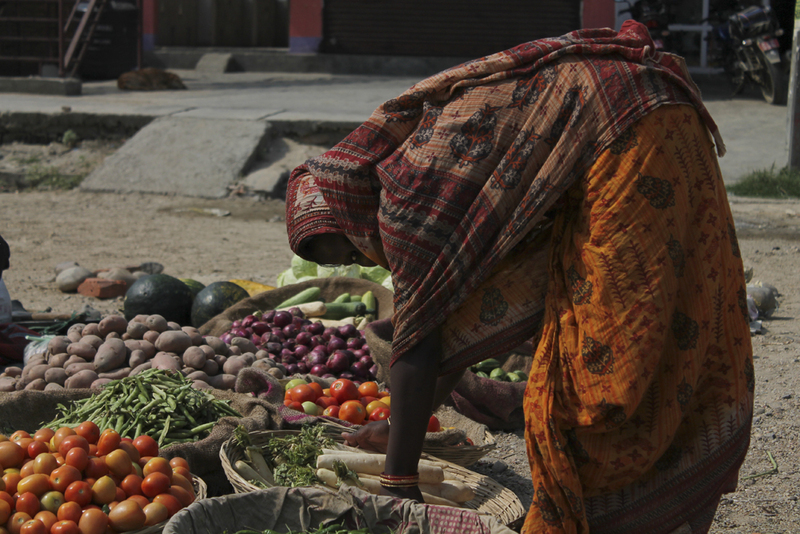 Monthly savings scheme helps me to start a small fruit and veg market. The family often adapts and heals remarkably easily. Public health education, through street drama or discussion provided by LLSC can help bring down barriers in the community. The Village Alive Programme is an intensive three year health, education and development programme, that the self-help group initiates with the support of LLSC and agreement of the local community. Demolishing stigma by Nepal Leprosy Trust. 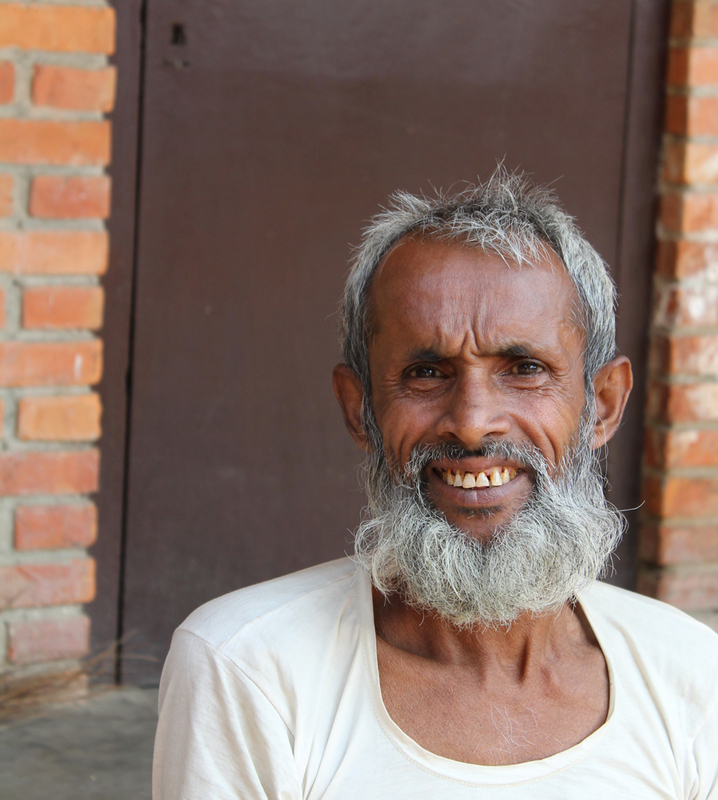 All the above quotes are drawn from leprosy affected people in Nepal and this story highlights a common journey of recovery for them as enabled by NLT.